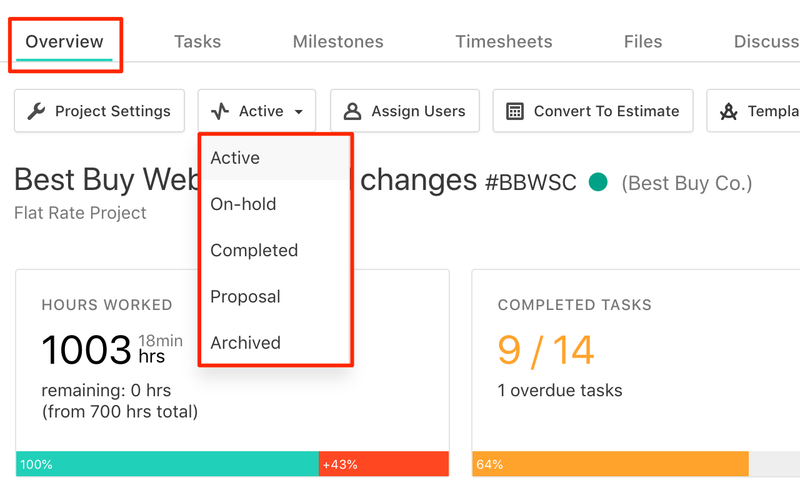 When going to a specific project you will notice an Active, Archived, Completed etc status. This will help you divide and filter projects based on the status they are in at that particular time. You can select from predefined options or set your own statuses. In order to do that, you need to click on Your name (bottom left) → Company settings → Projects → Project statuses and add your own. 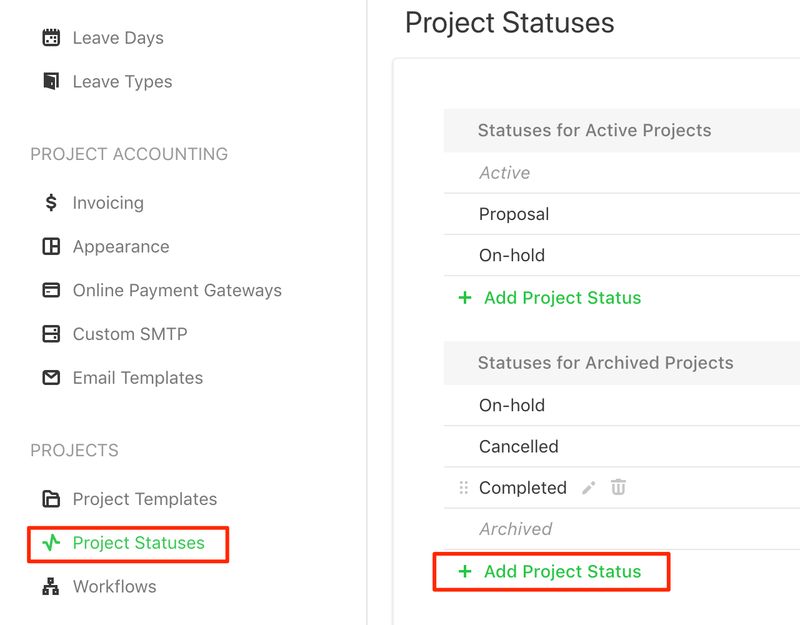 When adding or editing task statuses you can select if that status keeps the project active or not, which means if you will be able to create an invoice based on it or not.